New research shows that Wild Blueberries may have a cardio-protective effect, improving vascular function and decreasing the vulnerability of blood vessels to oxidative stress. With the latest breakthroughs in health and longevity continuing to place Wild Blueberries in the spotlight, recipes that include a daily dose of blue are inspiring unique, delicious dishes. 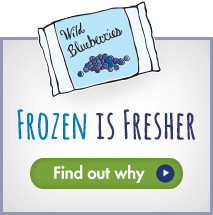 Wild Blueberries, the resource for information about health and nutrition related to the little blue fruit, along with the Wild Blueberry News, unveils a spectrum of colorful new cooking options — not limited to breakfast — that take full advantage of this nutrient-rich powerhouse berry.